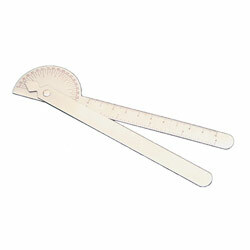 The Model J00220 Robinson Pocket Goniometer is ideal for measuring small joints of the hand. Has a 180° scale marked in 5° increments. 7 inches long. Stainless steel.